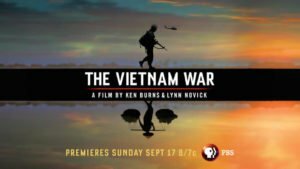 Those words, spoken by narrator Peter Coyote with his calming, authoritative voice, frame this massive, ten-part, eighteen-hour documentary by Ken Burns and Lynn Novick that opens on September 17. It will run on PBS from Sunday through Thursday for two weeks. Then, in an excess of binge broadcasting, PBS will re-air the film every week from October 3 until November 28. This is the first of seven blog posts about the documentary. Though each entry will include commentary that pertains to the entire film, I will also track the episodes chronologically. Gratifying as it is to share my thoughts, I am even more eager to hear your reactions to the film. 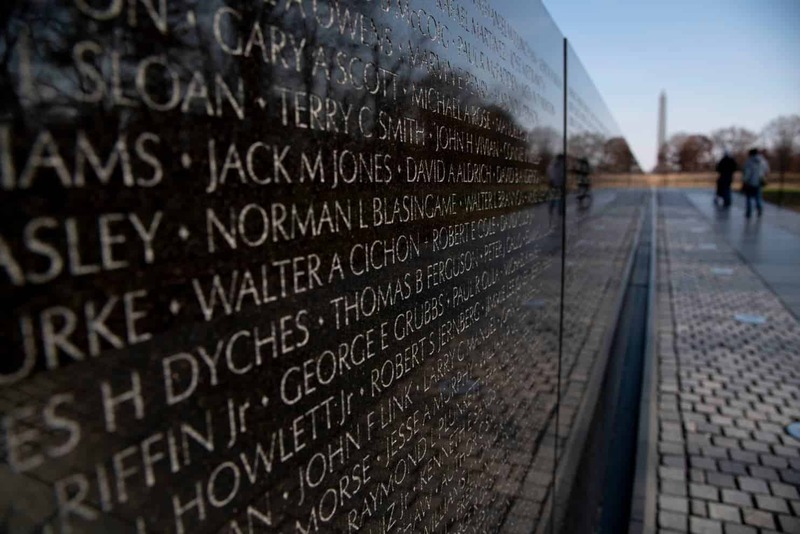 Burns and Novick have expressed the hope that their work will inspire a national conversation about the war and its contested meanings and lessons. Sharing that hope, I urge readers to post their reactions and questions on this site. First, a few words of background and context. I can’t think of anyone who has shaped modern American historical memory more persistently, prolifically, and successfully than Ken Burns. For nearly forty years, his production company, Florentine Films, has made film after film, thirty in all, and all of them about United States history. Since most of them are long, ambitious, multi-episode series that require years to complete, Florentine always has several documentaries in production at once. All have been widely broadcast and many have attracted enormous audiences. 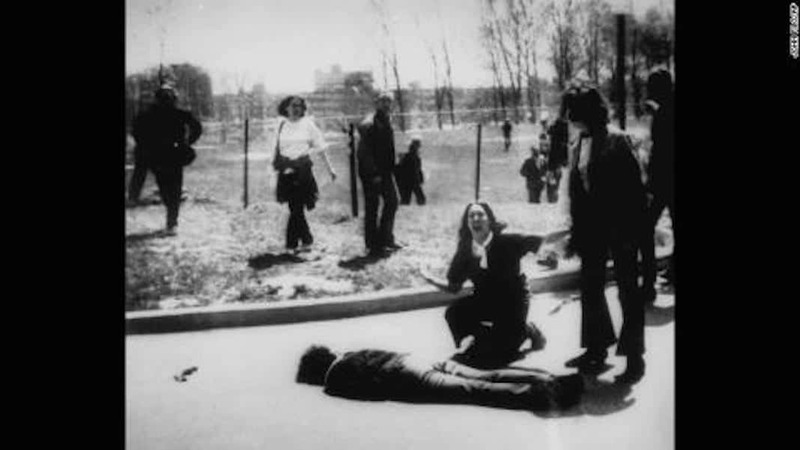 The Civil War, for example, aired on five consecutive nights in 1990 and became (and remains) the most-watched program in PBS history, reaching 40 million viewers. More recently, The Roosevelts (2014), was seen by 33 million people (three times the audience for the popular Downton Abbey). Though Burns has long relied on a large and talented team, one of his colleagues, Lynn Novick, has earned co-producer and co-director billing for a number of Florentine films, including The War (2007, on World War II), Prohibition (2011), and now, The Vietnam War. Ten years in the making, The Vietnam War has probably been more eagerly anticipated than any of Florentine’s films. It is surely the most controversial subject Burns has engaged and, he reports, the most challenging (“It’s the most complicated film I’ve ever worked on”). 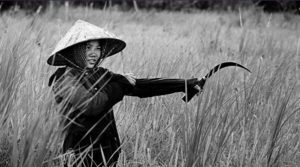 In sheer size, it dwarfs all other film documentaries on the subject, including the eleven-hour, thirteen-part PBS documentary Vietnam: A Television History (1983). The length of the series and the seriousness of the topic demand a great deal of viewers, but the power and reach of the Burns brand, along with the film’s compelling storytelling, guarantee that many millions will watch at least a significant portion of the whole. 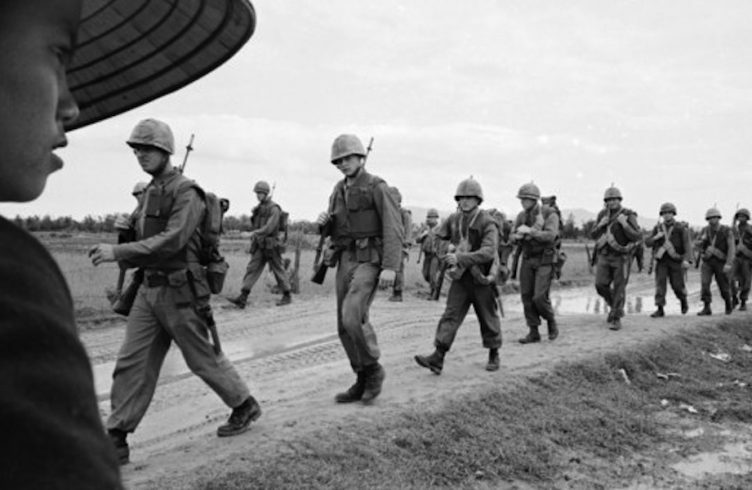 Indeed, over time it will undoubtedly reach more people than any book ever written about the Vietnam War and may even rival in audience some of the landmark Hollywood films about the war such as Apocalypse Now (1979) and Platoon (1986). It is critical, therefore, that history teachers of all kinds—not just Vietnam War specialists—give this documentary serious attention. For many months, Burns and Novick have traveled the country promoting the film. Last April, for example, Burns introduced it at the Lyndon Baines Johnson Presidential Library and Museum in Austin with a short talk, a compilation of clips, and an interview. The appearance seemed designed to entice the widest possible audience by sticking to inoffensive generalizations. Burns claimed that he and Novick “had no political agenda. We had no ax to grind. We thought of ourselves as umpires calling balls and strikes.” This classic claim of objectivity might strike historians as naïve, but it may instead reflect the filmmakers’ shrewd calculation that a pose of neutrality is useful when pitching a project with so many hot buttons. 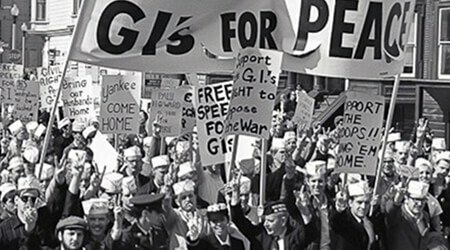 After all, the film is hardly shy about declaring the war a “tragedy, immeasurable and irredeemable”—a view that is every bit as “political” as the view that the war was a noble cause (a position still held by a significant number of Americans and Vietnamese on all sides), or the claim that the United States fought an unjust war of imperial aggression (also a position held by a significant number of Americans and Vietnamese). These applause lines raise serious questions at the outset. 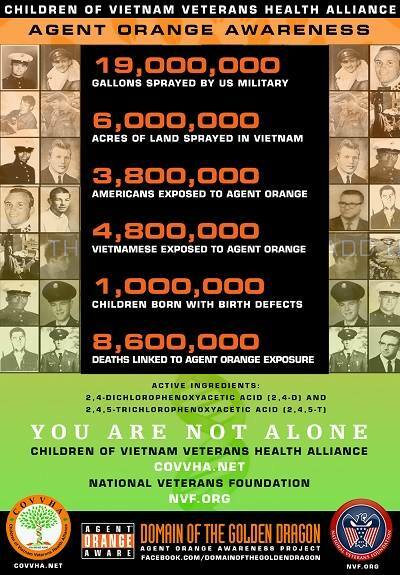 First, is it an unchallengeable “truth” that American soldiers were blamed for the conduct and outcome of the Vietnam War? By whom? Also, is it possible to make a film for one side’s combatants and still remain neutral? In any case, I suggest that our close attention to how American soldiers and veterans are represented will be essential to our understanding of the film’s implicit and explicit interpretation of history. Through these posts, I will also encourage an effort to examine details that complicate and even defy the film’s most obvious sympathies. Christian G. Appy is a professor of history at the University of Massachusetts. His next post, about Episode 1, will appear following its East Coast broadcast on Sunday, September 17. He is the author of American Reckoning: The Vietnam War and Our National Identity (2015), Patriots: The Vietnam War Remembered from All Sides (2003), and Working-Class War: American Combat Soldiers and Vietnam (1993). He also serves as an OAH Distinguished Lecturer.